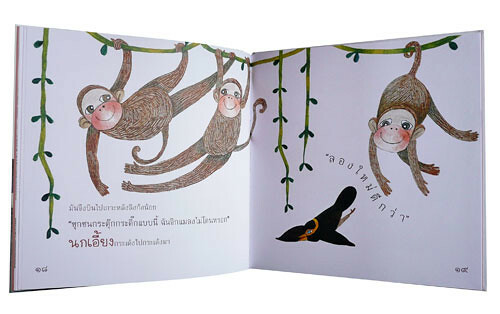 This week for my Book Beauty Monday, I would like to show you a beautiful picture book illustrated by Thai artist, Patcha Disyanant. 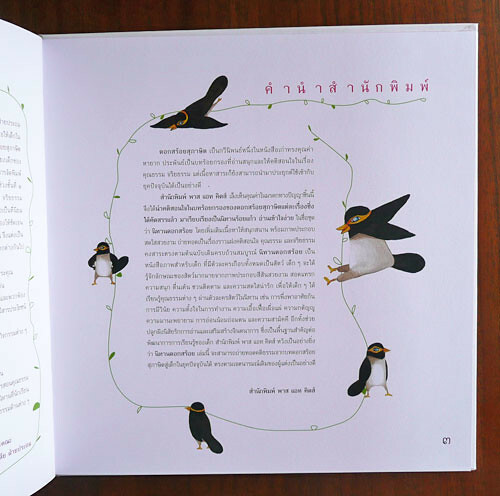 The book is called Buffalo and His Buddy The story is based on Thai traditional nursery rhyme, rewritten in a beautiful, easy-to-read prose tale. 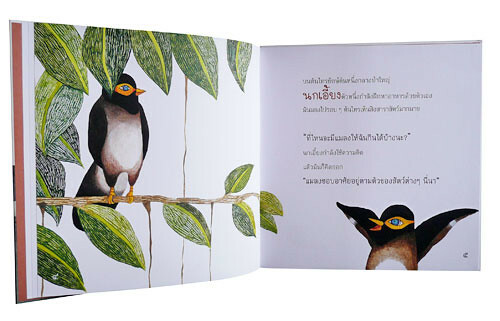 The tale is about a common myna trying to find insects to eat. 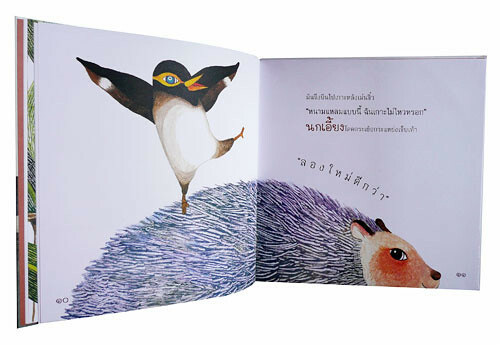 It encounters various problems and cannot find food until it meets a kind buffalo who lets the little bird eat insects that are annoying him. 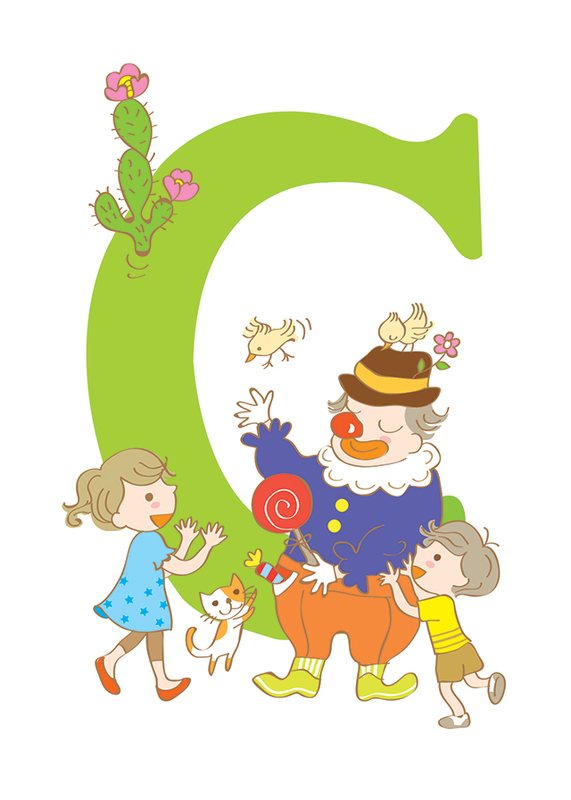 The tale teaches children about adjustment and dependency. 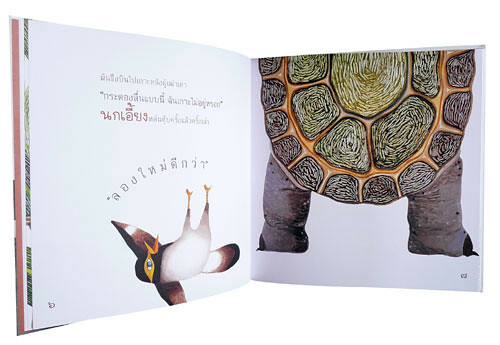 What I love about this book is the bold simplicity of the illustration that seems to pop up from the white background. Each spread is designed to be viewed as a whole. The zoom-in and crop-up images make the pages look so striking. Pretty layout design of preface page. He tries going to a hedgehog but he is too spiny and the bird is hurt! 'Try again,' he says. 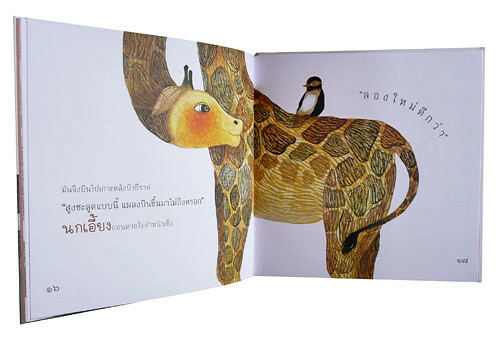 This time he goes to a giraffe but the animal is too tall and no insect flies that high. The monkeys are next. But they are always jumping and moving. The bird cannot peck at any insect! 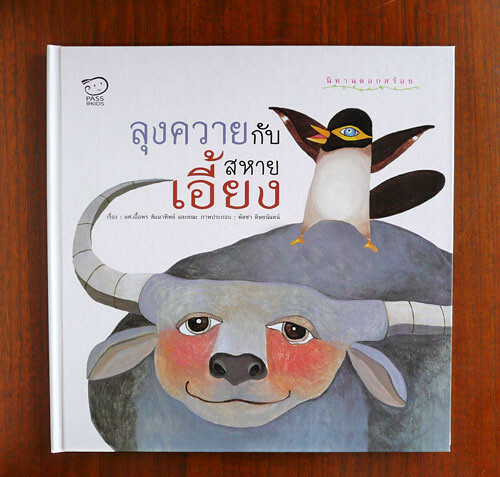 The little myna then goes to a kind buffalo. There he can eat lots of insects finally! 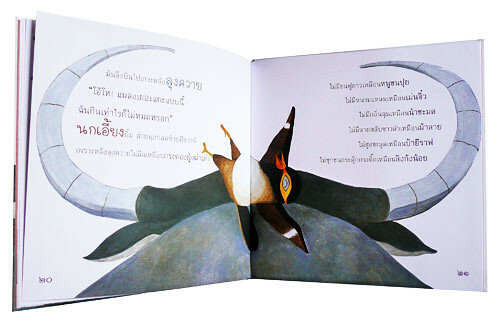 The bird can eat insects and the buffalo, with the annoying insects got rid of, feels more comfortable. They are so happy!